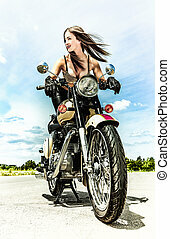 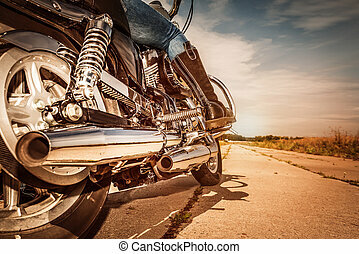 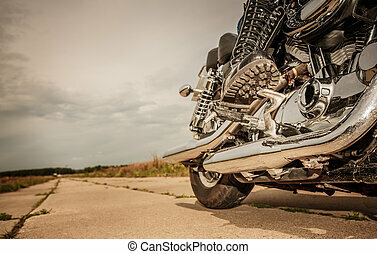 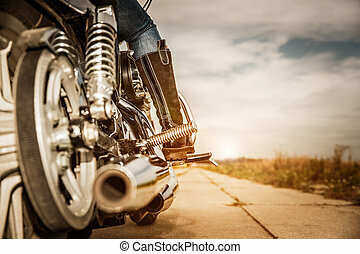 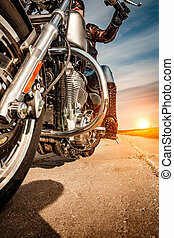 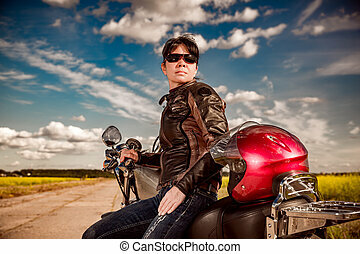 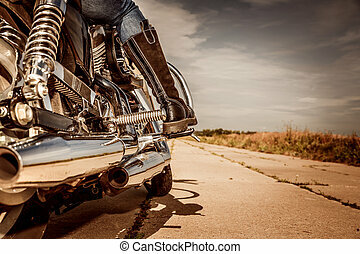 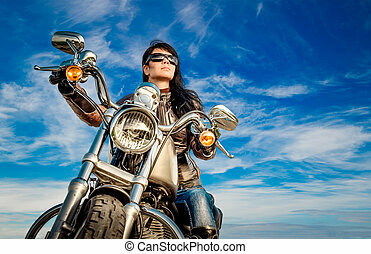 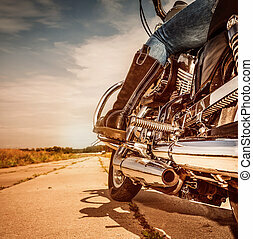 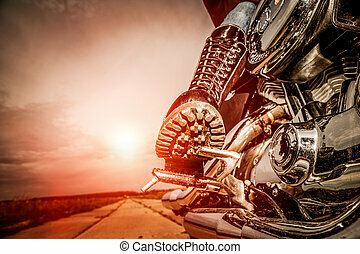 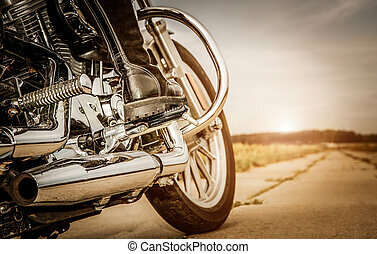 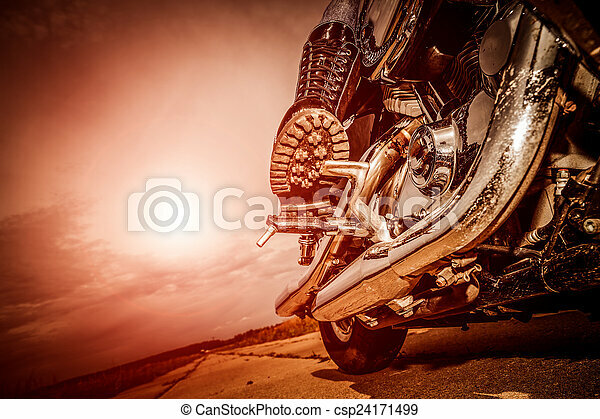 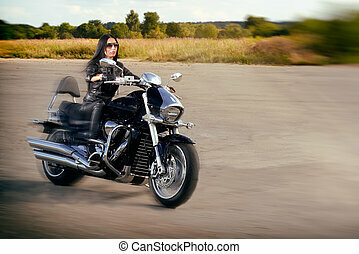 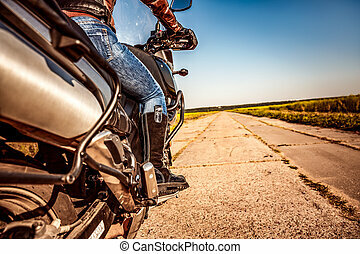 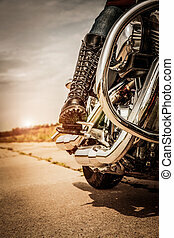 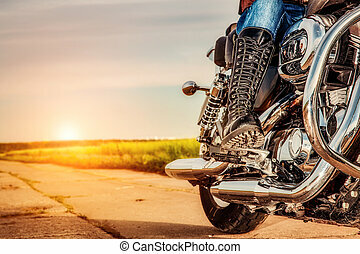 Biker girl in leather jacket riding on a motorcycle. 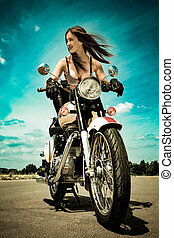 Biker girl riding on a motorcycle. 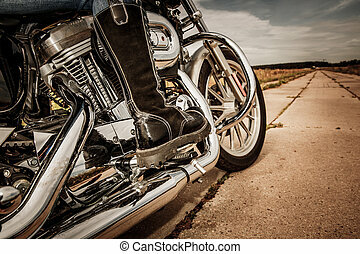 Bottom view of the legs in leather boots. 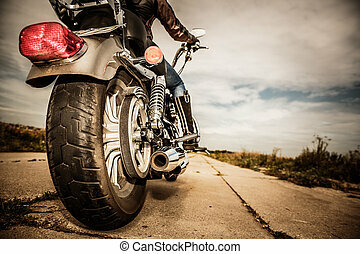 Focus on the rear wheel.